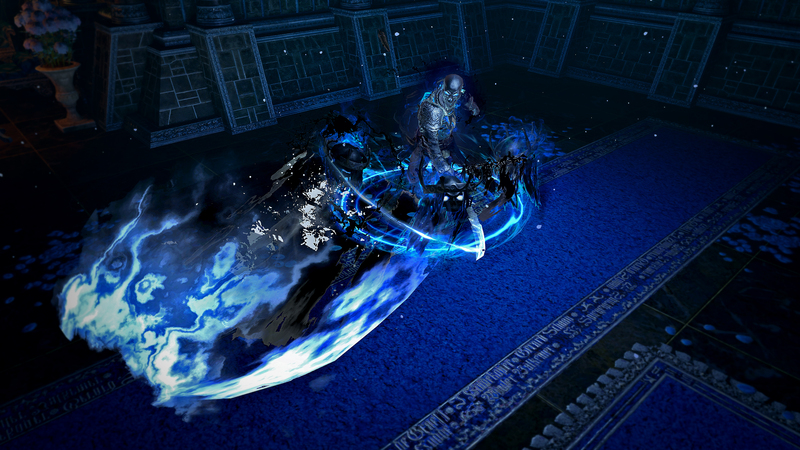 We've just released the Stygian Frost Blades Effect that replaces the standard effect of this skill gem with a black and blue version. Check it out by watching the video below or click here to get yours. For a matching outfit, use the Stygian Armour Set with the Sin Character Effect and the Sin Weapon Effect. Complete the look by using the recently released Stygian Aura Effect. pls dont make grinding challenges. Here comes 3.7-4.0 melee changes. Hopefully this means more MTXs for skills that don't have them? You know, all like 80 of them that still don't? Nice but i hope GGG gonna buff melee and LIFE!!!! LIFE ALSO need buffed! On a more serious note, when are we getting cold to chaos conversion?